The Timorese people and their leaders should feel confident in the professionalism and transparency of their election processes. The election on May 12 was held in an overwhelmingly peaceful environment and turnout was almost 81%, which are positive indications in a nation where voting is voluntary and democracy is still in its infancy. Just 19 years ago, violence erupted after a United Nations-backed referendum in August 1999 overwhelmingly favoured independence from Indonesia. An estimated 1,400 Timorese were killed by pro-Jakarta militias before the Australian-led International Force for East Timor (INTERFET) was deployed to restore security. The UN Transitional Administration in East Timor (UNTAET) then governed until independence was officially celebrated on May 20, 2002. Since then, there’s been enormous change. In 2002, Timor Leste was still very much in a post-conflict situation. Buildings and infrastructure in Dili had been brutally damaged in the violence. Peacekeeping troops, armoured vehicles and UN personnel were everywhere. Today, while the city hasn’t exactly prospered – it is still desperately poor with practically non-existent sewerage or rubbish collection systems – there’s a great deal of activity. Construction extends beyond supermarkets and hotels to …?. Timor Leste has also developed institutions to ensure the provision of free and fair elections, with the help from the United Nations Development Program, the International Foundation for Electoral Systems and the Australian Electoral Commission. The Technical Secretariat for Electoral Administration (STAE) is a government body led by a senior public servant which implements the work related to holding a vote and counting ballots. Its work is overseen by the National Commission of Elections (CNE). “IRI observers noted that the staff of the two election management bodies, CNE [and] STAE were professional and dedicated throughout the official campaign period as well as on Election Day.” International Republican Institute Preliminary Statement on 2018 Early Parliamentary elections. 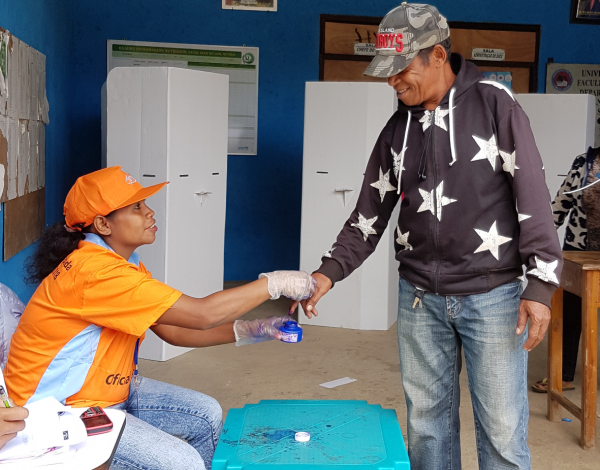 Voting and counting processes were overseen by international and Timorese election observer groups; and although not all observer groups will or have released official reports, there have been no claims by them of significant irregularities. It is unclear how many of the 1,160 polling stations (nine out-of-country locations) were visited by observers. 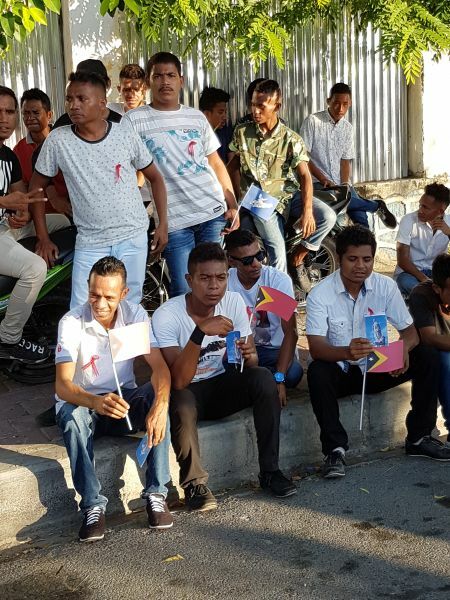 According to STAE, there were more than 3,000 Timorese observers for the May 12 election from a variety of groups such as Lao Hamutuk (Timor-Leste Institute for Development Monitoring and Analysis) and OIPAS (Observatory of the Church for Social Affairs). In addition, there were 22 accredited international observing groups with a total of 250 individuals. The largest were the Australia Timor-Leste Election Observation Mission (ATLEOM), the Embassy of Australia, the Embassy of the USA, Victoria University, the International Republican Institute (IRI) and the Embassy of New Zealand. Robust political debate or ‘fake news’? There were several claims made against electoral bodies posted on the Facebook page of the AMP coalition led by Xanana Gusmão, independence hero and leader of the CNRT. The accusations referred to printing errors in the ballots, and inappropriate meetings held between CNE staff and political parties. The concerns about ballots were quickly rectified, and the CNE argued that the meetings were part of routine investigation of previous complaints. On election day Gusmão himself claimed on AMP’s Facebook page that the supposedly indelible ink had been removed from some voters’ fingers and that the President of the CNE should be held responsible. Concern has been raised in Timor Leste – and many other nations - about the influence of unsubstantiated claims on the election, especially those circulated on Facebook. This platform is widely used in Timor Leste, especially among its young people – and according to the UNDP, 74 per cent of the population is aged under 35. During the election campaign they [the parties] insulted each other and talked about the past. A lot of intellectual people created fake ID to insult others through Facebook. And in the east of Timor Leste and a few places in Dili the youth insult each other. Silverio, 25. The influence of social media on elections is under debate across the world, particularly in transitional democracies. It’s hoped that Timor Leste, with its young democracy and developing institutions will be strengthened, rather than undermined, by this debate and by the use of social media. Second image: A voter dips his finger into indelible ink, as a measure to help determine that voters only vote once. May 12, 2018. Credit: Dr Kate Neely.